Simplification in art involves taking the complex details which we see all around us and simplifying it into a story, or a work of art. With every painting I create, I look for different ways to simplify what I am trying to say. In this post I discuss some of the different ways you can simplify your paintings. Your color palette is the first place you should look if you want to simplify your paintings. The more colors you have on your palette, the more complicated it is to manage. Every additional color on your palette introduces a vast range of color mixing opportunities. In the right hands, this may be an advantage, but in most cases it is not worth the added complexity. Painting with just a few colors on your palette is usually referred to as a "limited palette". 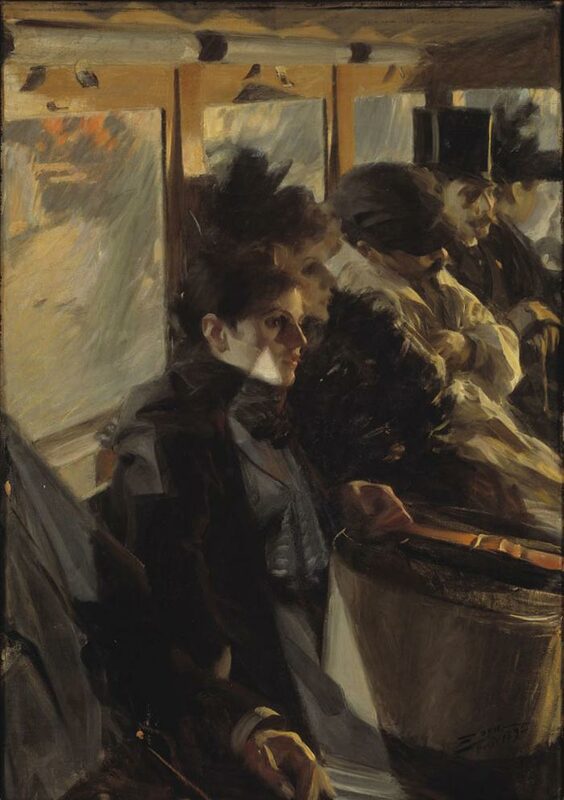 When I think of a limited palette, I think of Anders Zorn who was known to frequently paint with just cadmium red, yellow ochre, ivory black and titanium white (also known as the "Zorn palette"). I recommend most beginners start with a very limited palette then expand from there if needed. This will force you to learn how to actually use and manipulate your colors. Knowing how to use color is far more important than the colors you have on your palette. A good limited palette to start with comprises of red, yellow, blue (the primary colors), an earth color like raw umber and white. This will allow you to mix most of the colors you will need for your painting. I suggest you take a look at the colors you have on your palette when you are creating your next painting and think about if all the colors are actually necessary. Do you really need three different types of green? Or that vivid orange? You should treat every stroke as an important step in your painting. If you are not sure about what to do with your next stroke, try to avoid mindlessly applying paint to the canvas until it works out (or until you end up with a muddy mess on the canvas). 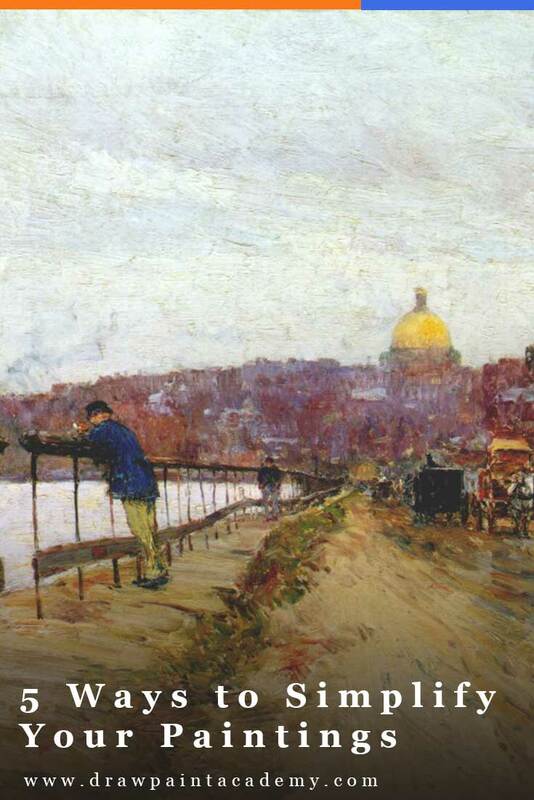 Many of the Russian artists demonstrate some remarkably efficient brushwork. It always amazes me the amount of information they are able to depict with just a single stroke of their brush. 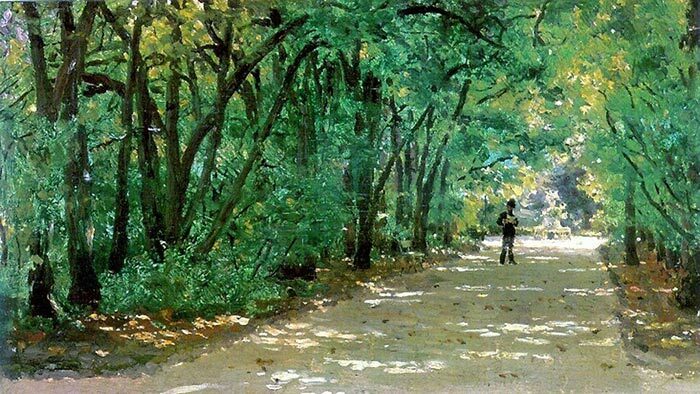 Bato Dugarzhapov is another Russian artist who is worth checking out in terms of brushwork. He is one of those artists who just seem to see things differently. If you look around right now, you will see all kinds of values from light to dark. These values are probably not well organized. 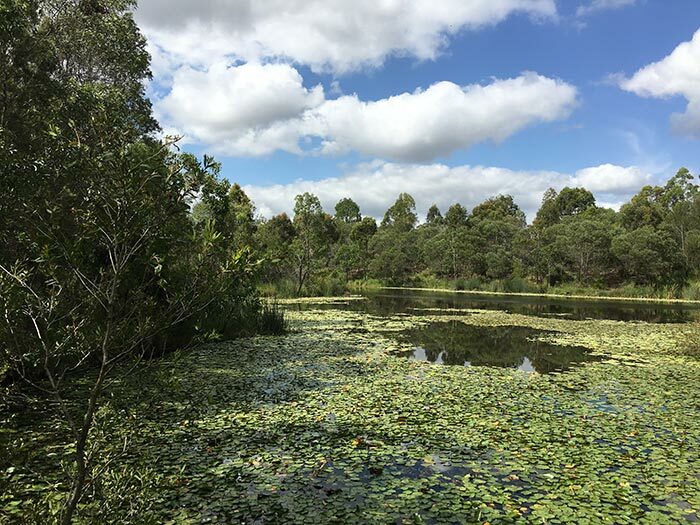 For example, take the following photo which I took whilst running the other day. As you can see, there are light, dark and middle values scattered all over the place. If you were to try to paint this scene, part of your job as an artist would be to simplify these values into a more organized structure. 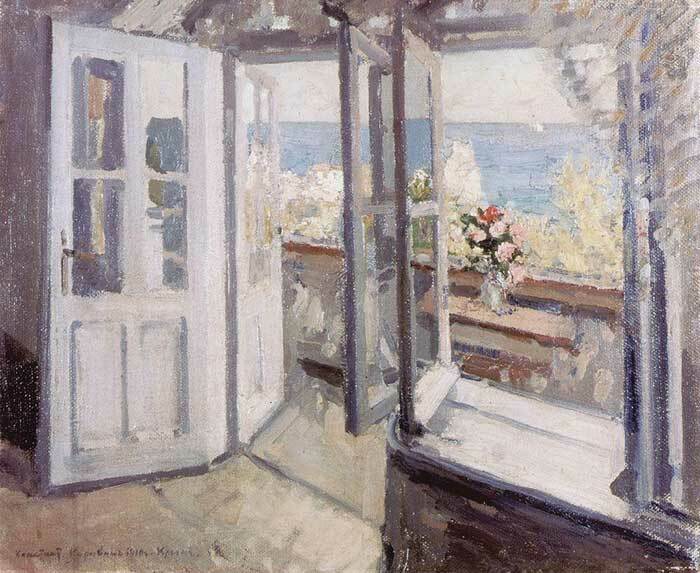 If I were painting this scene, one option I would consider to simplify the values would be to break the scene into a dark area and a light area, as shown below. The dark area is on the left in shadow and the light area is on the right. Within each of these areas, I would keep the value range very tight and would rely more on saturation and hue contrast to create interest. This would be an extreme form of simplification. A less extreme form of simplification would be to break the scene down into smaller segments which share similar value ranges, as shown below. 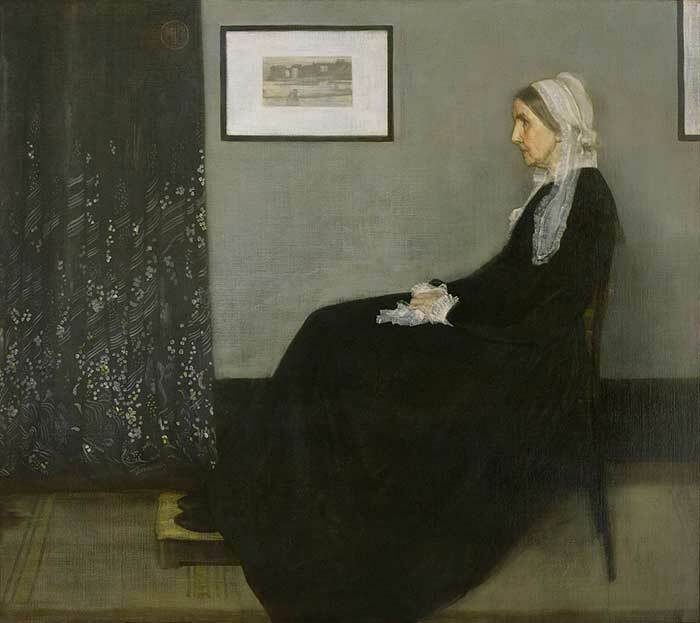 The painting below by James Whistler is a perfect example of a neat value arrangement. Notice how the black dress, the chair and the black part of the wall seem to form a single object. Note: If you ever do studies of master paintings, be aware that the artist has already simplified the subject. If you were painting that same subject from life, it would be up to you to simply the subject. My partner commented the other day on my painting process that I do not seem to change my brush all that much. I guess she figured that I use a different brush for every different circumstance - a fan brush for the leaves, a flat brush for the trunk of a tree or a clean brush for every new color I mix. But I find that the brush type does not matter all that much. What is more important is how well you handle it. I rarely use more than a handful of brushes for a single painting since the majority of brushwork can be done with a few filberts and flats. These are my "workhorse" brushes. As you become comfortable with all your brushes, it becomes less necessary to change between them. You will find that one type of brush can make similar markings to other types depending on how you use it. For example, if you turn a round brush on its side, it makes a similar mark to a filbert brush. If you use the thin edge of a filbert or flat brush, it makes a similar mark to a round brush. If you push down with a round brush, it makes thick marks like a filbert or flat brush. This is not to say the type of brush you use is not important. Of course it is. But it is not as important as many people make it out to be. When you are creating your next painting, consider if you are using too many brushes. Do you really need two different fan brushes (or a fan brush at all)? Do you need five small round brushes? By all means, keep the brushes around, but try to limit the number of brushes you use during a painting. This will simplify your brushwork and your decision-making process. 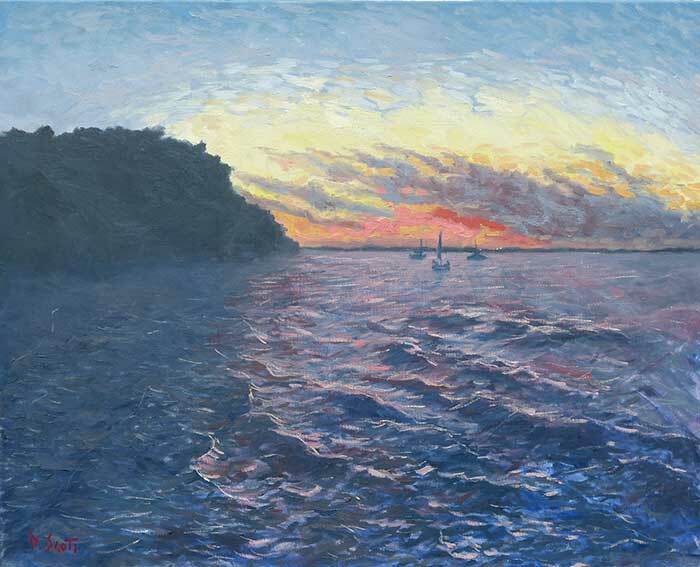 In my seascape painting below, I used large filberts and flats for the whole painting, except for those small highlights on the water and the boats which I painted with a fine round brush. A great artist knows what to say, but also what not to say. Knowing what not to say is harder than it sounds. Our default response in painting when we are not sure what to do, is to paint everything! When creating your next painting, consider exactly what you are trying to say and what details are important. Then simplify the rest. If you have mountains in the background which are not the focus of the painting, simplify them. If clouds are not the focus of your landscape, simplify them. Those rocks in the foreground, simplify them. Also, don't forget you can crop out parts of a subject entirely. If an area is not adding any value to the composition, then consider cropping the frame so that it is not included. In the painting below by Ilya Repin, notice how little detail is actually used. The trees seem to be nothing more than a few dark lines on top of a green block of color. The male subject is just a few dabs of black and gray. But you know exactly what the painting is about. That is the power of context. 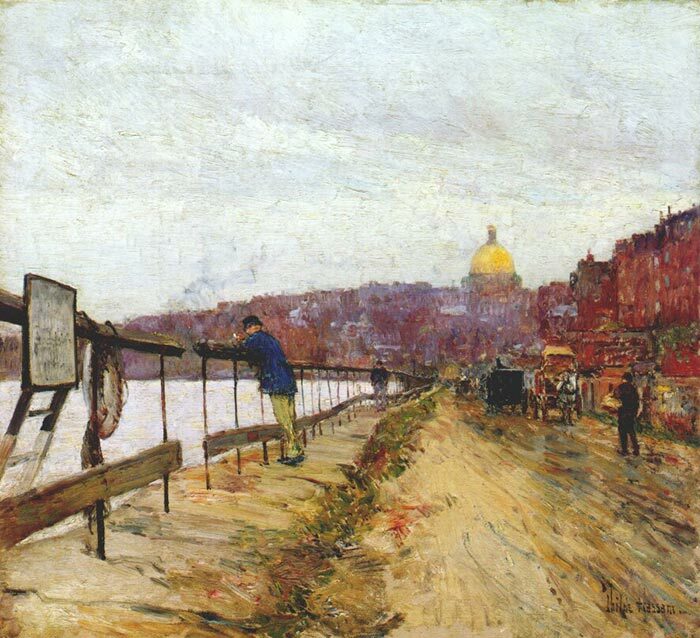 In the beautiful painting below by Childe Hassam, take a close look at the buildings. Notice how they appear to be relatively primitive, yet when looking at the painting as a whole they appear incredibly realistic. If Hassam had painted the buildings with perfect accuracy and intricate detail, they would probably look out of place in the context of the painting. Always remember that you need to make your painting work as a whole. You want a beautiful painting, not beautiful parts. …..Thank You Dan, as All Ways You make Very Good sense……….I Have Struggled with this LONG. Trained to Paint Tight……………..But All along wanting a Sargent or Munnings …….tight or more loose,are both Wonderful,of course if done well…………………At this stage in the game, I want to free myself up……………………Thank You for Your Words…….Hope..
Great post, Dan! I always used these points to get students to “learn how to see.” Especially cropping the composition (especially when using photos), simplifying, and limiting their palette. Things I have used for most of my 45+ years of painting. Always a struggle for me-how much detail to include. This post helped me think through that process. Thanks, Dan. Thank you for the great information on simplification. I usually want to make things to detailed and it doesn’t always work. I think I will see things differently now, and relax more. A quick question about brush choice – when you say large filberts and flats were used, what is the size of the painting? Thank you. Enjoyed the reading. Well written article. I read about this subject matter all the time but your article makes it easy to understand and the paintings are perfect examples. Thank you Scott. This post has opened my eyes to a new part of the painting proces that i want to master! Thank you so much for explaining that. I have recently started to paint freer and looser and am thouroughly enjoying it. Without being so much aware of my ‘own style’ of painting, I have been asked by different people if i am maybe a descendant of van Gogh (being a Dutchie) or they say i paint like vanGogh and other times it’s more Monet, less colourful with those small dabbing strokes. Only been experimenting so far, but fun in doing it! Hi Dan, This post is very helpful as I am continually painting too much detail, even in the distant mountains. I just sent you thumbnails of a dull landscape and when I look at the color version it is too tightly done. I do reread your blog on this – painting more loosely, etc….I just have to keep at it but taking your courses has helped me for sure. your eye to the water, which I love painting! Also I usually put a black cat somewhere in my paintings! Thank you so much. I get more training from your posts than any ones else. I even signed up for the on line school. I appreciate the time it takes for you to put out such quality posts and art! No problem at all, I am just happy to be helping! Thanks, Dan. Thank you. Always need to be reminded about simplification and the many ways to achieve it. I love your no nonsense way of writing about art. Your own paintings are really great art pieces. Thank you for all your advice and tips. Happy painting! Thank you, I learnt a great deal!! This was very helpful to me. Thanks a million. Really an important lesson,when I was in school my critiques always had” too much detail” I drew well,painted well,and color came easy..but composition was crucial and the simplification. My joy returned! Hey Dan! I am so eager to really learn how to use simplification in my paintings. I have always over-reached and my paintings seem very immature. I deeply appreciate what you posted and am going to give it another try, albeit nervous. Thanks !Den . I hope you must have seen my water color painting . As per your advise by simplification article I shall follow it . I request you please remark the mistakes for my improvement in painting. Thank you for your time and sharing your expertise. Thanks for all your articles and information. I even read the replys and appreciate your support of your followers.